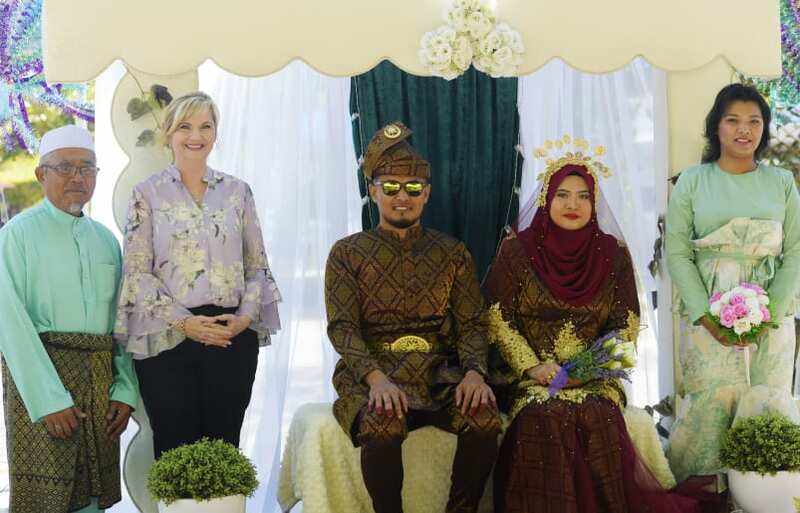 The mock wedding included Mohamad Ahmad, Greater Shepparton Mayor Cr Kim O’Keeffe, groom Fared Osman, bride Yusnaili Yusif and Sitisarah Dat. Pictures: Megan Fisher. 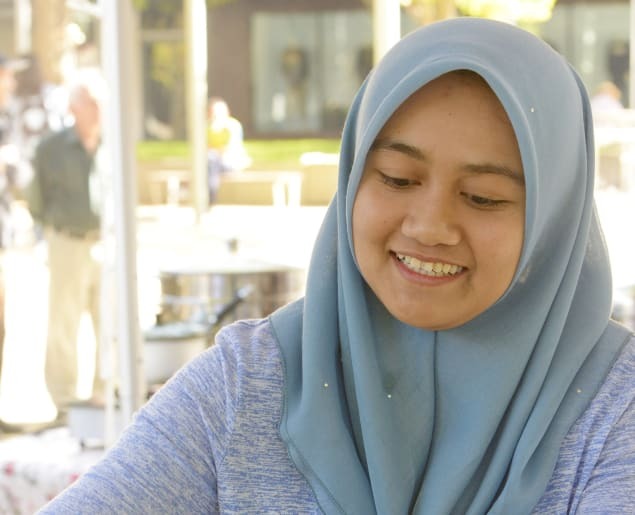 Haziwa Zawawi served up some delicious Malaysian food. 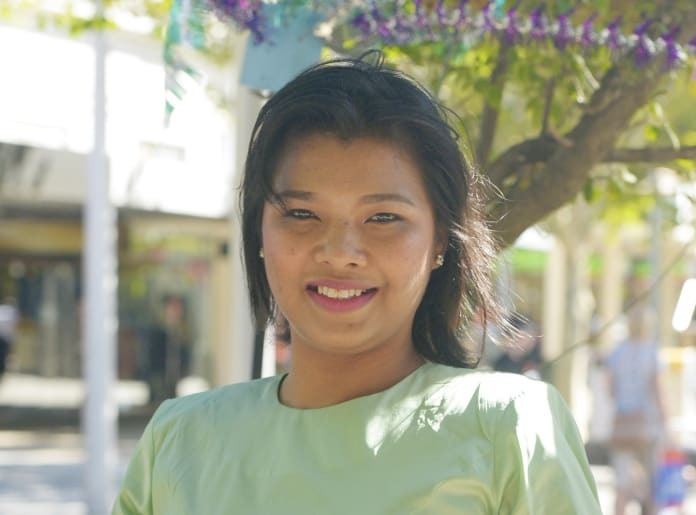 Sitisarah Dat played the role of bridesmaid. 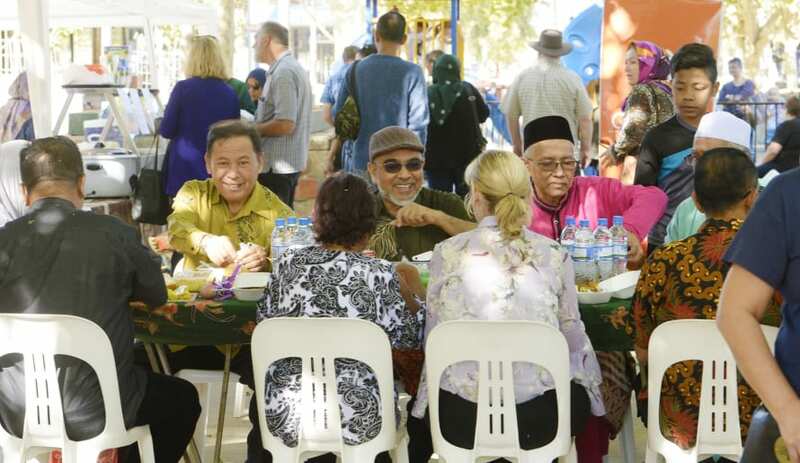 The event was the first of the Culture Corner series. 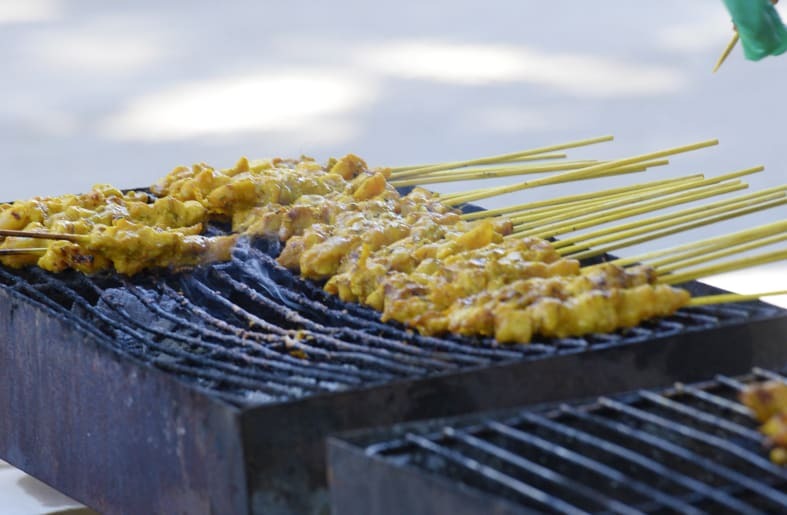 Satay skewers were up for grabs. 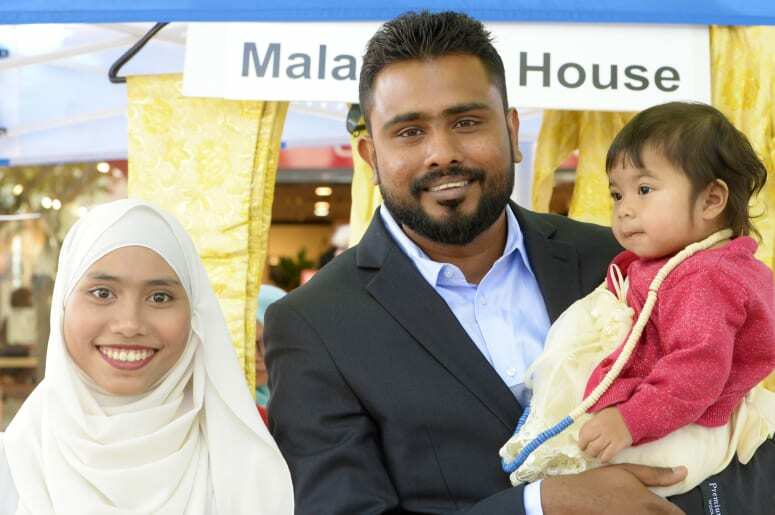 Aqilah Sukirman, Kartik Kumaran and Maisarah Faizal, 1, attended the event. 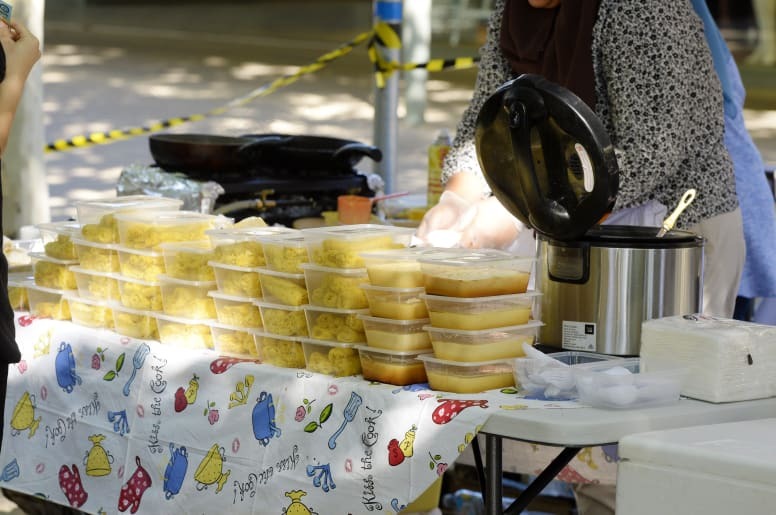 Malaysian treats were on offer.